The landscape of the online marketplace is always evolving as each day goes by. With information travelling almost instantaneously, along with the instant gratification that online users can get by surfing the internet, it’s more important than ever for companies to uphold a positive image, and make progressive changes when the time is right. Such is the case with Facebook, the globally popular social networking site that is frequented by more than 1 billion active users each month. At the recent F8 developer’s conference in San Francisco, California, Facebook CEO Mark Zuckerberg announced some new privacy features. 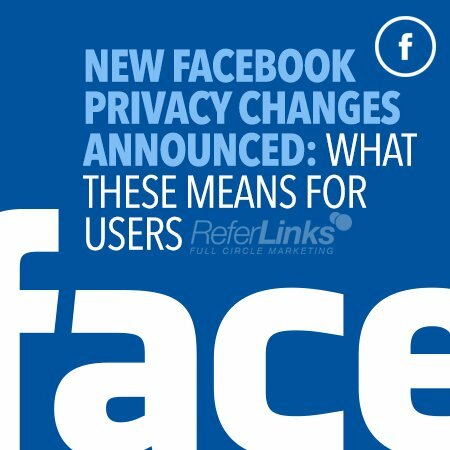 In this article, we’re going to take a look at what these changes mean for Facebook users. –Anonymous Login: This feature will let you try out a Facebook app, without logging in with your full Facebook credentials. This is an effective way to keep your personal information on your profile from being seen by these companies. –Facebook Login: You can finally select the particular information that you’d like to share with each app company. Having the option to choose what to share with these social app companies is a step in the right direction that benefits those who want to keep their information private. Making these apps less of a hassle to deal with may lead to an increase of users, which can be a great boost for these companies. These privacy changes provide Facebook users with an increased incentive to use these apps, while addressing their privacy concerns. “Over the years, we’ve heard that people are worried about sharing so much information with apps, and they want more control over how apps use their data. We take this very seriously,” noted Zuckerberg during the F8 developer’s conference. Now that there are more privacy options available, will you be more inclined to try out more Facebook apps? Will these companies see a noticeable increase in the amount of people using their apps? The results should be interesting, and will show us just how important it is to address a user’s privacy concerns. This entry was posted in Online Marketing and tagged Facebook Marketing,Facebook Marketing News 2014,Facebook News,Online Marketing on May 20, 2014 by ReferLinks Online Marketing.